One of The Irish Times "Best debuts of 2017"
One of New York Magazine's "45 New Books to Read This Fall"
One of The Huffington Post's "20 New Books You'll Need For Your Shelf in Fall 2016"
One of Bookriot's "16 Books to Read This Fall"
One of Harper's Bazaar's "16 Books You Need to Read in November"
April Ayers Lawson is the recipient of the 2011 George Plimpton Award for Fiction, as well as a 2015 writing fellowship from The Corporation of Yaddo. 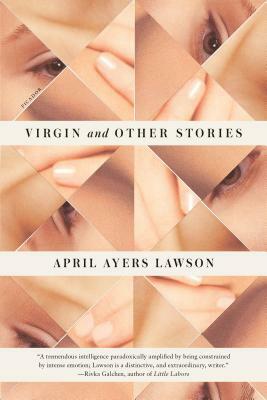 "Virgin" was also named a 2011 favorite short story of the year by Flavorwire Magazine and anthologized in The Unprofessionals: New American Writing From The Paris Review (Penguin 2016). Her fiction has appeared in the Norwegian version of Granta, Oxford American, Vice, ZYZZYVA, Crazyhorse, and Five Chapters, among others. She has lectured in the Creative Writing Department at Emory University, and is the 2016-2017 Kenan Visiting Writer at University Of North Carolina, Chapel Hill.